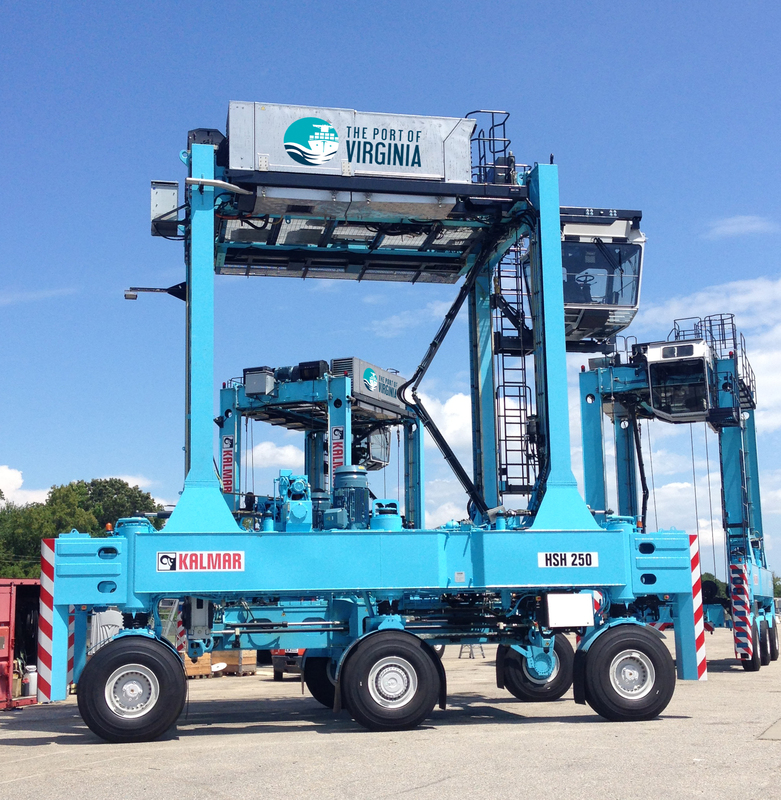 Kalmar, part of Cargotec, has concluded a deal with The Port of Virginia in the US for sixteen hybrid shuttle carriers. The new units will be delivered to the Virginia International Gateway container terminal. The order, with a value of approximately EUR 13 million, was booked in Cargotec's 2017 second quarter intake, and includes an option for a further 40 units. Virginia International Gateway (VIG) terminal, located along the Elizabeth River in Portsmouth, is operated by Virginia International Terminals LLC and under lease to Virginia Port Authority (VPA), which markets itself as The Port of Virginia, the fifth largest port in the USA. VIG has been operating three Kalmar hybrid shuttle carriers since August 2015. Their superior performance in terms of fuel consumption and emissions, as well as engine noise levels, was one of the key drivers behind this new order, together with Kalmar's proven track record in automation-ready horizontal transport solutions. Furthermore, Kalmar provides VIG with support and servicing through a dedicated local team of technicians with many years of experience and a comprehensive local inventory of off-the-shelf parts. Testing performed by VIG and Kalmar over more than two years on the three hybrid machines already operating at VIG has demonstrated a significantly improved total return on investment compared with conventional diesel-electric machines. The Kalmar hybrid shuttle carriers consume almost 40% less fuel than comparable diesel-electric machines and cut carbon dioxide emissions by approximately 50 tons per year per machine. Rich Ceci, Senior Vice President, Technology and Projects for the Port Of Virginia, says: "Kalmar's proven track record of on-time turnkey delivery and excellent local support and servicing, together with the outstanding performance of our existing Kalmar machines, were significant factors in our decision to place the order. Our hybrid shuttle carriers have already helped us achieve significant cost savings and emission reductions without compromising productivity." Tero Kokko, Senior Vice President, Automation and Projects, Kalmar, says: "We are very proud to be able to continue to help VIG increase their container-handling capacity while furthering their commitment to environmental values. This new order is a natural continuation of our strong relationship and demonstrates the value that customers place on reliable equipment backed up by world-class local support." "Our local Virginia based service team has gone beyond expectations to provide technical training and support for VIG's technical staff and on their existing shuttle carrier fleet," adds Troy Thompson, Vice President, Ports and Terminals, Americas at Kalmar.